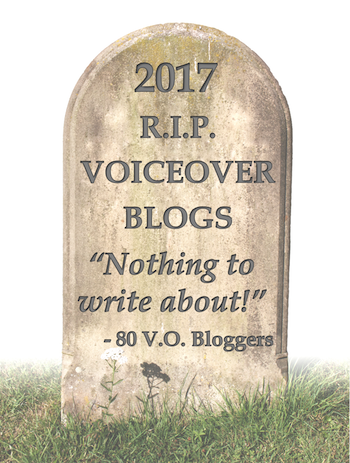 death of the voiceover blog? Sometimes we as voiceover business owners are so focused on the operations of our business, the business of doing business, we neglect to paint our stores and sweep our steps. The ‘stores and steps’ references our web sites. We often look at our sites from the back of the house instead of standing out front and looking at what the visitors see. 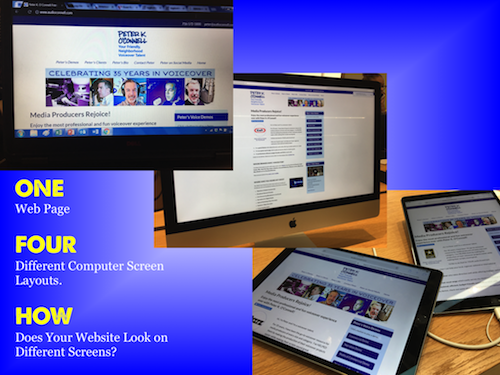 A while ago I wrote a blog post about checking out what your web site looks like by going to electronic retailers and calling up your web site on various computers, tablets and phones. While that applies to web sites, that advice also applies to blogs. 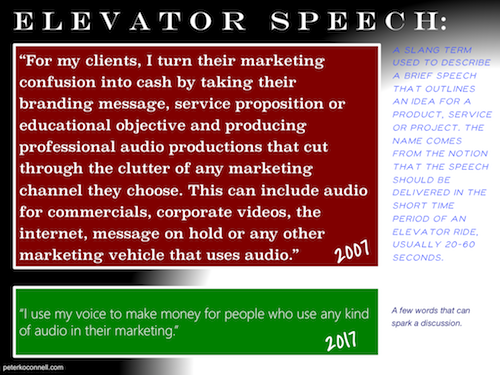 I’ve had a blog since 2005 and in those 12 years, I’ve written a lot about voiceover, marketing and advertising (over 1,300 posts). That’s why I named the blog voxmarketising. In all those posts there are some real golden nuggets and some absolute crap. Trial and error, baby! But one of the areas of blog management I had fallen way behind in was managing all the links I had listed on my blog to all my fellow voiceover bloggers. It was my way of sharing the blog love by listing their blog link, in the hopes that they would do the same. Some did, some didn’t. But recently, I did a complete review of all the blogs I had listed on my site to see what blogs were still active and what blogs had given up the ghost. Over 80 (EIGHTY) voiceover blogs were just cut from my web site because they hadn’t published in 3 or more years or because their bloglink just went nowhere any more. There were probably 10 or so links that needed to be updated and they have been. But 80 dead blogs was an amazing number. Some people clearly didn’t not make it in the VO business — so why blog about voiceover when one is now selling life insurance? Sure there may be a myriad of other reasons and all of them are legitimate. Blogging is not mandatory in the voiceover or any other business (unless you’re in the blogging business, then I suppose it’s pretty mandatory. But does blogging help or even impact a voice talent’s business? That depends. From a broad perspective, blogging should help a voiceover talent’s business for SEO. If one is blogging about their industry, using a widely accepted blogging platform like WordPress (either as a blog or as part of an overall web site), that alone should generate attention from search engines like Google and Yahoo. Digging down a little further, if a blogger’s content gains enough interest from a targeted audience and the blogger builds up a dedicated readership, that subsequent attention also generates positive SEO notice and builds the credibility of their brand and reputation. So SEO is the only reason to blog? No, but it’s a big one because depending on what you write, you may enjoy some unexpected organic word search success. Sure you can buy word search, but organic is less financially cumbersome. I think in voiceover, there are primarily two types of bloggers – thought leaders focused on SEO (and listening to myself, ‘er, um THEMSELVES speak) and then coaches who want to sell services and also enjoy some SEO love. Neither is bad. Blogs are a marketing tool…just decide what you are marketing what your audience wants to hear. But what if you aren’t a coach and you don’t think you have a thought that worthy enough to lead anything? Should you still blog? Blogging requires some sort of commitment. Obviously time but, maybe more importantly, thought. For bloggers, I think the smart foundation for having a blog should not be ‘what CAN I write about’ but rather ‘what do I WANT to write about?’. Because if you don’t have a real desire to write about something at least about 6 times a year, then blogging is not a tool for you. Don’t worry, there are other marketing tools, but blogging will not be one of them for you. 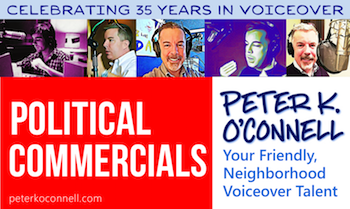 80 of my voiceover peers, many of them well known to voiceover community, found that out the hard way. It was not the end of their careers, it was just the end of blogging….for them. For the rest of us…full steam ahead. P.S. 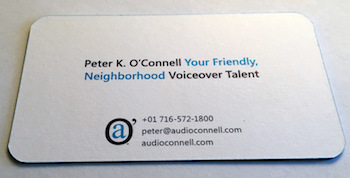 If you check my blog page and see I’ve gotten the wrong link for your site, you can contact me at peter at audioconnell dot com. Of course, you DO have a link to my page on your blog site, right?! P.P.S. If you have a voiceover blog that I do not have listed on my blog site and you would like it listed there (and you’re going to offer me a link to my blog as well) please let me know. with your social media branding – get the picture! Other voice talents are little more honest and say they don’t know what to do or how to start. Whether it’s marketing, accounting, legal documents or technology, we each have elements of running a business that scare us because we don’t know how or where to start. Me too. My plan is usually to contact someone who specializes in the area I am clueless in and at least get started in some direction. For business, I have a greater affinity for marketing (I’m not an expert….NO ONE in voiceover is a marketing expert and if they tell you otherwise, run away!). What I’ve noticed is that soooo many voice talents are missing a simple yet prominent branding opportunity that is easy to set up. Oh, and it’s FREE! So what I thought I’d offer is a really quick step that will offer a little boost to your branding. It involves Social Media and you don’t have to pay for anything. IT’S SIMPLE AND EASY SO WHY NOT? Most of us in voiceover have social media accounts on channels like Facebook, Twitter, LinkedIn and SoundCloud. There are a million others and what I will cover here will probably be applicable to those others. 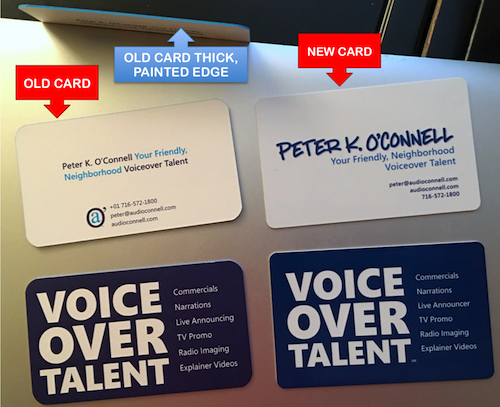 Most of us in voiceover also have some kind of logo (a specifically designed image with or without words to represent your company) or word mark (just your name or company name in a specific font or design) that we use to brand our voiceover businesses on web sites or printed materials like business cards. But many voice talents with the aforementioned social media accounts, who also have these logos or word marks, do NOT put the two elements together on their social media pages. 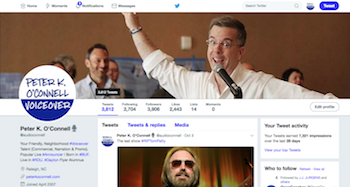 I know because I just look at some social media accounts for some fairly well known talent and I saw blank spaces where banners should be. That’s not smart for many reasons. First, it’s easy to upload and place these images on social media channels. Second, most voice talents have links on their business web sites to their social media pages and when a visitor clicks on the link, they will notice the branding is inconsistent (or maybe not really know where they are and lose interest. Third, some prospects may come across you/your company via social media FIRST and not your web site. So it would probably be a good and easy thing to make sure your social media pages have your branding on them. I’ve yet to come up with a reason as to how that kind of business branding can hurt a business social media account. As many people as there are on social media, there is an equal amount of different reasons people participate on social media. If you ask 10 people, you’ll get 10 different answers. Most people who do not own their own business use most social media channels for personal reasons and that’s fine. But if you have a business web site (and thereby your own voiceover business) and you have social media channel links on that web site, those social media channels that your business web site is linking to better have some professional branding. 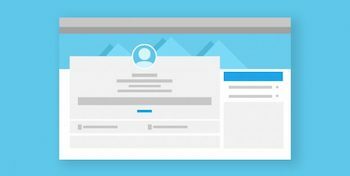 Can you have both personal and business social media accounts? Sure. But on your business web site, only link to your professional social media pages, not the personal ones. On your business social media pages, show them your talents, your knowledge and your shiny, happy, professional side. To specifically address business versus personal on social media, let’s talk about one of the most informal and popular social media channels, Facebook. Here’s how I do it and you can take this for what it’s worth. I don’t link to my personal Facebook page from my voiceover web site. I set up a business Facebook page and that’s the only Facebook link I share from my business web site. Why? Maybe on another day I’ll post something new about how you should post only professional things on business social media pages but I also kinda think if you need me to tell you that at this point, you’ve got bigger business problems than branding. If you’re directing clients to your business social media pages – there should be no political, religious or personal public discussions or fights. You are a vendor, you are to be professional and that’s it. If you disagree, I respect your opinion and would like to advise there is nothing on this or any other page that can help you. You should move from this place and good luck. For the purpose of this post, I just want to focus on your profile image and most especially your banner. If you handle these two items well, then you completed some valuable marketing tasks. Most everybody has posted at least a profile picture on their social media pages. This usually leads to a discussion about if a profile picture on a business social media page should have a picture of you, the voice talent or your logo. Some channels like LinkedIn strongly advise you use a picture of yourself. On LinkedIn, I agree. For Twitter and other channels, it depends on your branding and in some instances, what you are comfortable with. Remember, with a profile space, it’s fairly small so any logo (or if you’re like me, a secondary logo) needs to be able to be pretty recognizable in that small space. A highly detailed logo will likely not be visually useful. If you go with a personal picture of yourself, it does not have to be a professional head shot, just a nice, usually smiling and clear shot ….not you wearing a lampshade or you holding a beer. Common sense, I know, but as we all experience on a daily basis, common sense is not so common. So let’s get to that social media page banner. Do you have a logo you really like? Or a studio shot that might have a little corner logo? Or maybe a cool shot of you recording something in a studio? 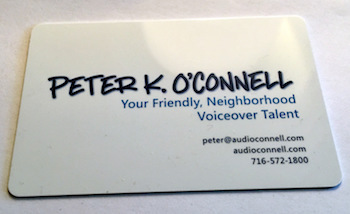 All these ideas and I’m sure many others will help tell people you are a professional voice talent. All would make good social media page banners. Just make the image consistent with your branding. That’s it! That’s the entire purpose of this branding exercise. I can only tell you how I do it. It ain’t pretty but it works. I have downloaded countless social media banner size templates and directions over the years and maybe I’m just ignorant (a real possibility) but the numbers and the sizing tools I use (probably incorrectly) just don’t match up. For me it’s trail and error. I start with Power Point. This is all done on my MacBook Pro, so how you work with Power Point on your computer may vary but most options listed should be pretty close to these directions (I hope). These will LOOK like a lot of steps but I am trying to be super clear, so once you actually do it, it won’t feel like as many steps. Do not be overwhelmed, these directions are not hard. Remember to do this on ALL your social media channels. Hope this helps.